With companies and public-sector organizations increasingly working across international issues, the consulting business is now a global one that serves clients without traditional borders that once existed. Because of that, ALM’s Consulting Magazine created an award in to recognize consulting leaders that have changed the way their firms operate in this environment and have impacted the consulting profession overall to meet global requirements. This November, the 2018 Global Leaders in Consulting list was released to honor 25 leaders from companies around the world. Booz Allen’s Leslie Raimondo, Senior Vice President and Deputy Chief Transformation Officer, is part of this new class of awardees, recognized for “Excellence in Engagement” due to her role transforming the company’s infrastructure and client delivery around the world. 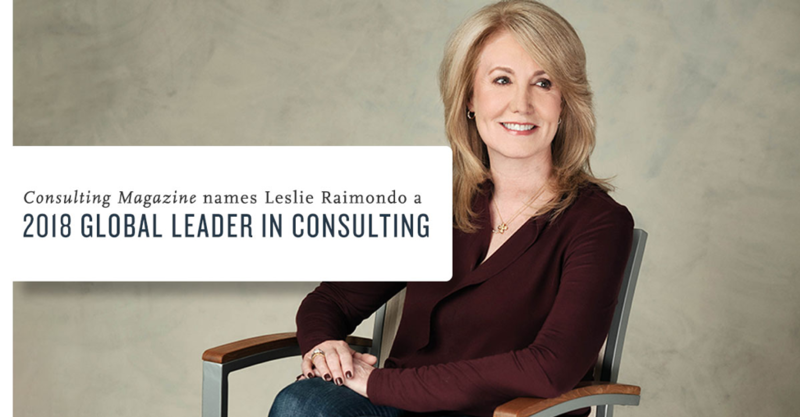 Leslie’s leadership is focused on empowering Booz Allen’s business and talent through the execution of carefully prioritized strategic transformation initiatives. In a world of increasing complexity, her work to culturally and technologically connect and engage talent at 400 locations in 20 countries has allowed Booz Allen to become a bolder, more data-driven organization while remaining focused as an enterprise. For the next phase of Booz Allen’s multi-year transformation, Leslie will be moving from headquarters to the firm’s international market in early 2019. As a female executive, she is looking forward to navigating areas such as diversity and inclusion in places that are just now experiencing women leaders. Leslie will be accepting the award at the celebration event in London on December 6, with the other awardees who are listed here. Learn more about Booz Allen’s global network, here.